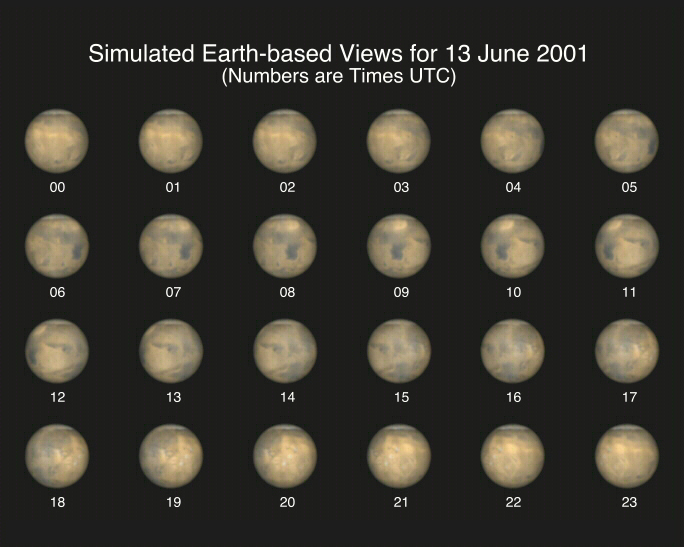 Today's Images of Mars show simulated views of The Red Planet as seen from Earth every two hours between June 5, 2001 00:16 UTC and June 7, 2001 01:20 UTC. The simulations were created using images from Mars Global Surveyor. In order to fully appreciate these images you need to go to the original article because from there you can click on each individual globe and see an enlarged version of it. To see the original article, simply click on the image below. You won't regret it!